Game of the week! 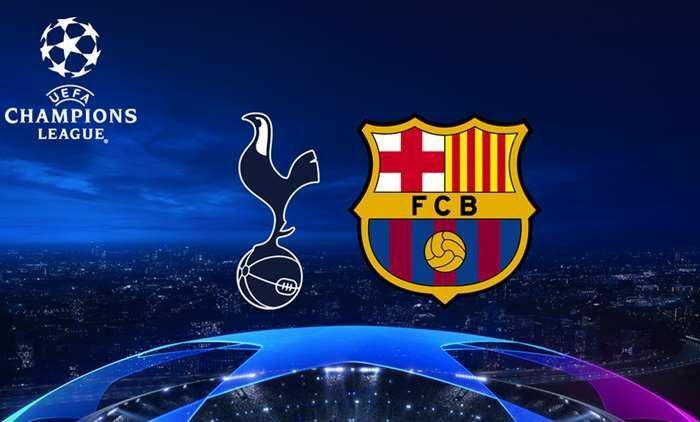 Tottenham Hotspur host Barcelona at Wembley in what is expected to be a very entertaining match. Tottenham are desperate for a win after losing to Inter in such a dramatic fashion in opening week but their recent injury bug really is going to make it tough for them. However, Barcelona have form problems of their own and with being winless in 3, this may be the best time to play them for Tottenham. Tottenham are currently on a 3 match win streak after having a dip in form a couple weeks back. Harry Kane has returned to goal scoring form scoring 3 in his last 2 apps. Tottenham have won all of their UCL group stage matches at Wembley last season including beating Real Madrid 3-1. Tottenham have only kept 2 clean sheets in 9 games in all competitions this season. 8 of 9 Tottenham’s games had over 2.5 goals this season. Tottenham have scored at least one goal in 45 of their last 46 matches in all competitions. Barcelona are currently winless in 3 games in a row. Dip in form. Barcelona have conceded 5 goals in those 3 games. Lionel Messi has already scored 8 goals in all competitions this season. Barcelona have won 8 of their last 11 matches against English opposition. 2D 1L. Barcelona have won just 1 of their last 7 away games in UEFA CL. 3 Draws 3 Losses. 7 of 9 Barcelona games have had an over 2.5 goals mark hit. Tottenham Hotspur: Tottenham have been hit with a massive injury bug. Eriksen, Dembele, Vertonghen and Alli are all out and so is the back up RB Aurier which may not be that big a loss considering they’ve got Trippier. However, the other 4 being out is huge since they’re all key starters. Spurs not only going to lose creativity, but their solidity in midfield with Dembele out and their best CB is out too which weakens them defensively. We can expect the likes of Sanchez, Wanyama, Winks to start for the absentees while up front Lamela, Son and Lucas are all possible starting considerations alongside Kane. Pochettino will have to go with 4 at the back considering Spurs don’t have 3 available top-class CB’s with Vertonghen out. One bit of good news for Tottenham is that their captain and 1st choice keeper Lloris is back and is expected to start. Barcelona: Barcelona will only be missing two players, but both are a part of their back 4 with RB Sergi Roberto injured and CB Samuel Umtiti suspended. The top replacement choices are Lenglet for Umtiti and Semedo for Sergi Roberto as both players have been featuring in Barcelona’s starting 11 quite a few times this season already. Lionel Messi will return into the starting line-up after coming off the bench against Bilbao for what was rest reasons which proved to be a huge mistake as Barca dropped points. Elsewhere, there’s nothing else to report considering team news for Barcelona, everyone is available bar the two mentioned names. This game does scream goals with both teams limited at the back with key absentees. Even with Eriksen and Alli out, Spurs still have Lamela, Kane, Lucas and Son to choose from going forward and their record of 45 games with a goal in 46 simply makes us believe that they can get on the scoresheet once or twice even. Barcelona aren’t that much of a defensive juggernaut this season only keeping 3 clean sheets in 9 and having conceded 5 in the last 3. Tottenham themselves at the back aren’t strong this year either and with Vertonghen out that backline will be very suspect especially having to deal with the likes of Coutinho, Dembele, Suarez and of course Messi. We can expect goals in this match from both sides so Over 3.5 at 2.60 is a bet with a ton of value. Also, we’re going to back Barcelona to win simply because Tottenham are missing far too many players for a game like this and Barcelona are going to come into this game with a desperation to win considering they haven’t won in 3. Barcelona to win is tipped at 2.00. The prediction for this match is a 1-3 win for Barcelona.